Floating in the air…but what is it? I’ll let you in on the mystery this time, because it is just too bizarre! 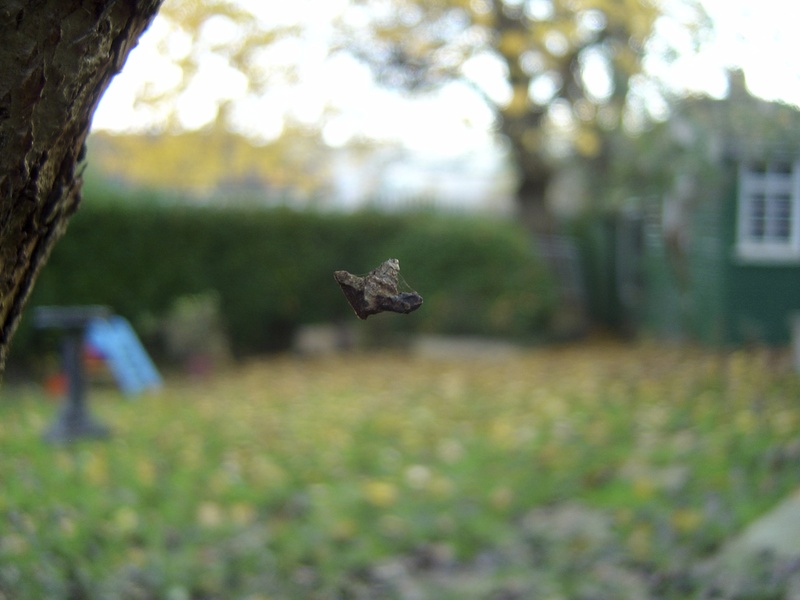 Little Satis and I were completely puzzled by this little thing, floating tranquilly in the air; it turns out it’s a tiny piece of tree bark, suspended by a spider thread so thin it can’t even be seen. Delightful! Hm…perhaps I jumped to conclusions.